Judge F. A. 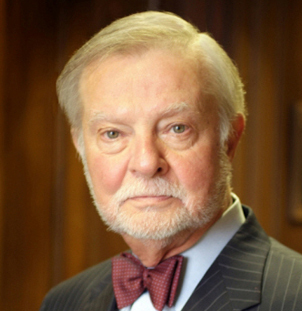 Little, Jr. served for 22 years, from 1984 to 2006, as the U.S. District Judge for the Western District of Louisiana, including six years as the Chief Judge. He sat by designation on approximately 250 cases on the United States Court of Appeal for the Fifth and Sixth Circuits. In addition to a commercial and transactionally driven practice, Judge Little is active in arbitration, mediation, mock trials and mock appellate presentations. Judge F.A. Little is nationally known for his expertise in federal estate tax and constitutional law. He taught those subjects at Tulane University Law School while he was an active federal judge. For many years, he created the written and oral examinations used to certify candidates as specialists in taxation and estate tax and administration. Judge Little continues to participate as a speaker at tax institutes throughout Louisiana. Judge F.A. Little is, since 1977, a fellow in the prestigious American College of Trust and Estate Counsel. After retiring from the federal bench, Judge Little was appointed Chief Judge of the Coushatta Tribal Court. He held this active trial court position until his retirement in September 2014. His interest lies not only in commercial matters (he is a certified FINRA arbitrator) and taxation (which includes mediation between taxpayers and the IRS), but also as a special master in class action disputes and mediation of attorney fee litigation. Gill v. Jim Walter Homes of Louisiana, Inc., 187 F. Supp 2nd 618 (2002), contract ruled to be subject to arbitration. American Heritage Life Ins. Co. v. Orr, 294 F3d 702, (5th Cir. 2002), arbitration of borrowers’ fraudulent misrepresentation claims against lender upheld. Schlenk v. Ford Motor Credit Co., 308 F3d 619 (6th Cir. 2002), finance company’s form did not violate Consumer Leasing Act. Todd v. City of Natchitoches et al., 238 F. Supp.2d 793 (2002), search and seizure ruled legal activity. In the Matter of Williams, 337 F3d 504 (5th Cir. 2003), damages for intentional violation of collective bargaining agreement nondischargeable in bankruptcy. Carrieri v. Jobs.Com Inc., 393 F3d 508 (5th Cir. 2004), security holders claims in bankruptcy disallowed. Judge F.A. Little has published in the Tulane Law Review, Tax Law Review, Hastings Law Journal and the Louisiana Bar Journal.